Today’s guest is Jesse Sullivan, the founder & CEO of Alter, a nonprofit on a mission to transform the developing world through high growth entrepreneurship. The company finds the most promising ventures in developing countries and helps them scale by accomplishing what billions of dollars of aid have largely failed to do: building businesses, leaping over gaps in infrastructural development and creating thousands of jobs locally. Alter is in four countries—Haiti, Afghanistan, Cuba, Myanmar—and is working with 17 ventures. Alter also recently announced a $1 million donation from the Pineapple Fund and a $2.5 million donation from Chris Larsen, the founder of Ripple. Despite the negative headlines that we often read, this story demonstrates that cryptocurrency does not only have to make a new class of millionaires, billionaires, and lambo owners—it can support development work and world-changing social investment. In the past 2.5 years, Alter has turned every donated dollar into four dollars of value-added services in the companies they work with. These companies have created over 1,200 jobs and grown their revenue by a combined $102 million. 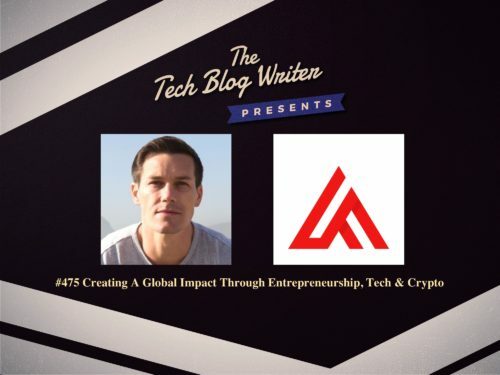 We talk about how this tech startup is making a difference to developing countries using technology, entrepreneurship and how cryptocurrency is already redefining social investment. Jesse prides homeself on using entrepreneurship to create value where it’s needed most. After growing frustrated by his failed attempts to create change in the world’s toughest places through traditional charity, military, and government solutions. Alter was born out of a desire to bring together two radically different worlds: Silicon Valley, where the future is being created, and frontier markets where many still struggle to survive. I also learn how Alter selects the best entrepreneurs in frontier markets – Haiti, Myanmar, Afghanistan, Cuba – and scales them with Silicon Valley resources to impact lives and transform ecosystems.